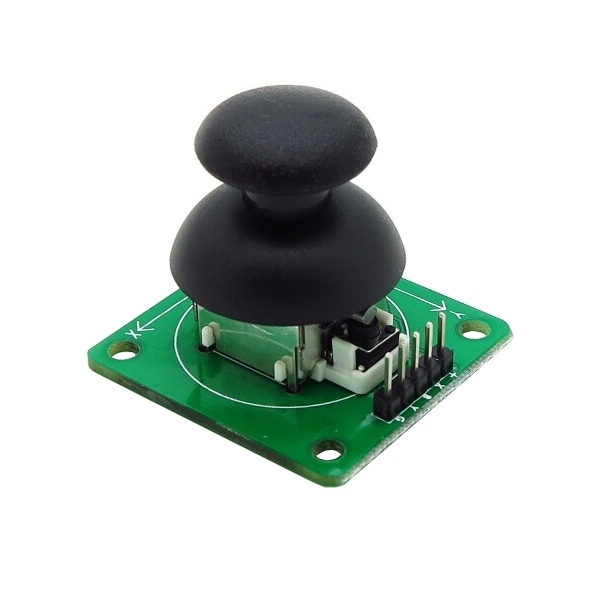 This Joystick Module is great for creating a remote control interface for your robot and a variety of other cool projects. The joystick has analog outputs for both the X and Y axis and can be pressed down for use a select button. 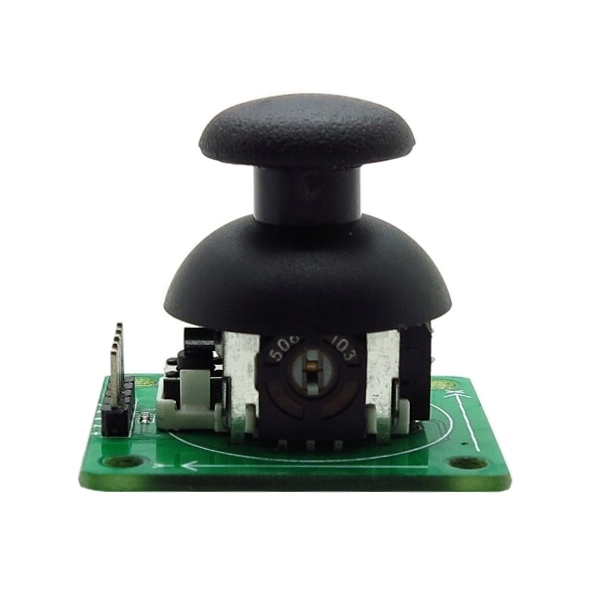 Each axis controls a 10k potentiometer to provide an analog output corresponding to its movement. 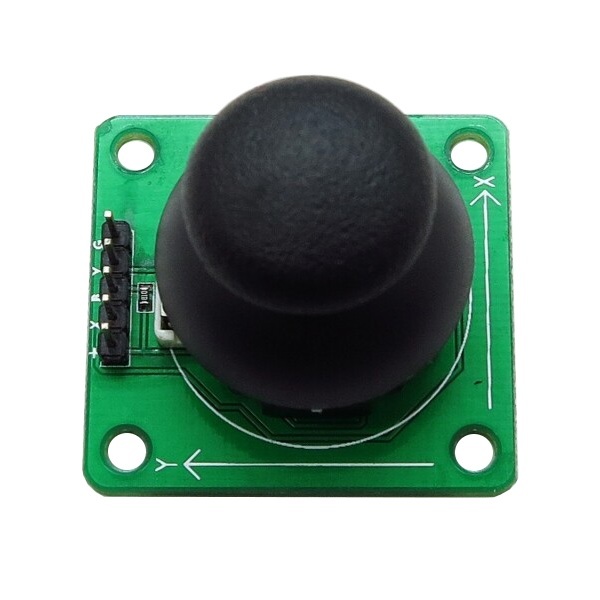 Because the electronics are passive, this joystick module can be used with a wide range of voltages and is compatible with 3.3V and microcontrollers.